In addition to our behind-the-scenes change to improve Open Graph tags, we also made a more noticeable change that some of you may have already seen on your websites. We hope that by expanding the potential pool of media items to draw from, this content will be more current and relevant to students, and will showcase the variety of content available on our news page. 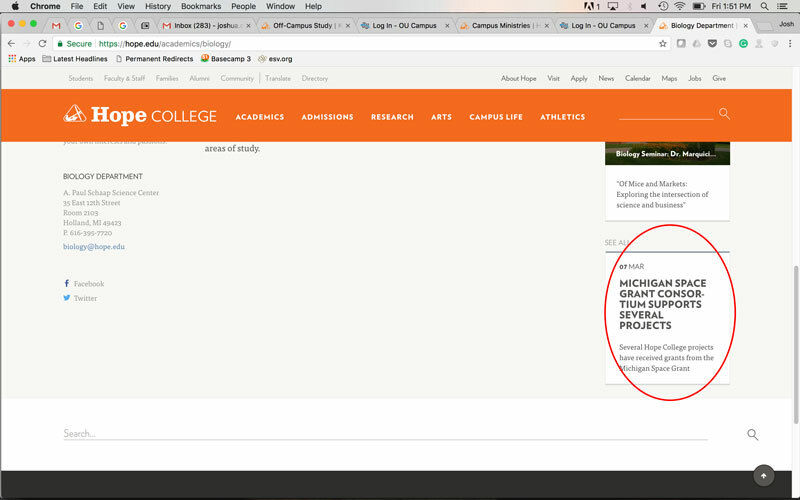 If a department doesn’t have the news option enabled on their site, this change will not affect their pages. If a department would rather that certain media types not appear, we can turn off any, or all, of them (we recommend leaving them all on). This field will continue to pull only hope.edu/news content, which is curated by Public Affairs & Marketing. In many cases, there’s content out there that we choose to not add to our news page, which means that it won’t show up in that field. 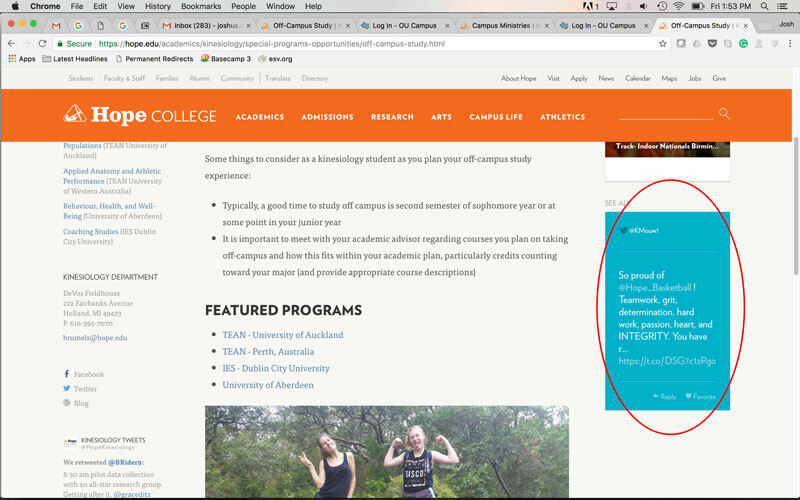 It also won’t automatically display the latest post from, for example, a blogs.hope.edu account. We think you’ll like the change! Next Next post: Coach. Clutch Player. Coworker. Courtney Kust!